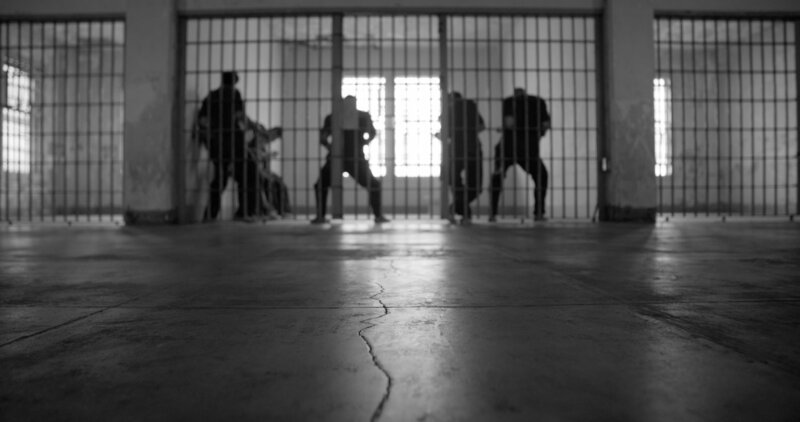 CHICAGO — A line of men struggled to shift along the walls of a cell, backs turned and elbows struggling to fit in and out of the spaces between the cell’s bars. The wall-to-wall screen of Loyola University Chicago’s Damen Cinema amplified these movements so that we the audience felt as though we were there with the men, feeling the cold metal on our arms and passing through the jail with the lone spectator, a young black boy, who watched these men who signified his parent, relative, or possibly his future. Separate Sentences, with its stark message on the generational effects of mass incarceration told through innovative movement and film work, was one of the seven films captivating the audience at In/Motion International Dance Film Festival. Separate Sentences was the winner of the Grand Jury Screening and Audience Choice Award, chosen from more than 300 dance films. As we filed out of the theatre that night, I heard consistent talk among the audience about wanting to see more. This was the moment I realized that In/Motion had made its mark on the Chicago Dance Community. The international festival hit Chicago’s Rogers Park neighborhood March 21-25 with a rare and refreshing concentration of arts programming. It’s not often that the north side houses an international film screening, a Gaga class, panel discussions and local artist showings all at once—and the community eagerly responded. 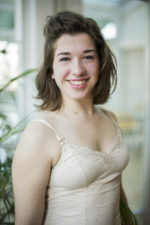 As a senior dance major at Loyola, I am familiar with the program’s ambitious faculty and students, and its consistent dedication to movement investigation, training, and performance. And I’m familiar with its dynamic programming like In/Motion, much of which is happening under the radar compared to the rest of Chicago dance. In/Motion 2018 served more than just the intimate group of dancers and filmmakers on campus—it opened up this level of artistic excellence to a wider group of local, national and international artists. Over the past four years, I have had the unique opportunity to watch the In/Motion Dance Film Festival rapidly grow into an almost week-long series of international programming. My freshman year, what would become In/Motion was a few dance film presentations and screenings that randomly occurred on Loyola’s campus, at the same time. 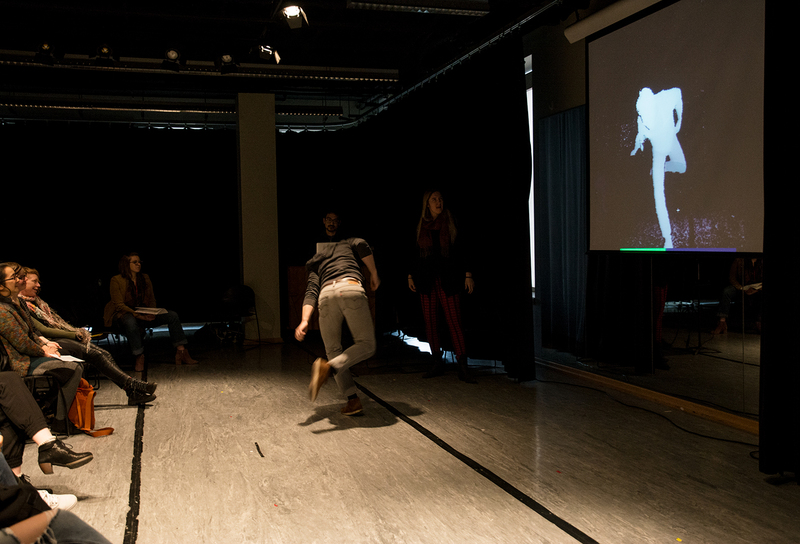 Thrilled with the programming, dance program faculty members Amy Wilkinson and Sarah Cullen Fuller, film & digital media program director Aaron Greer, and then-student Sarah Prinz teamed up to continue this exploration combining movement, media and critical thinking on campus. 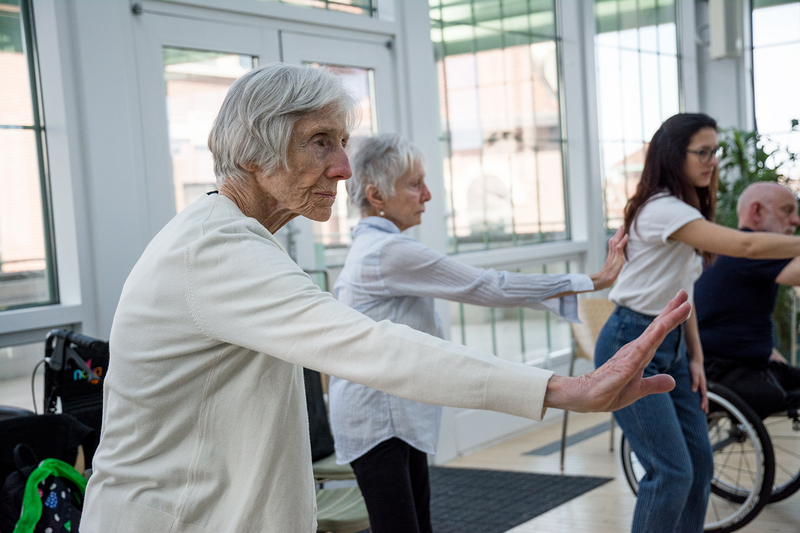 One year later, the festival added live performance and partnered with the Institute of Environmental Sustainability and Dance for PD [Parkinson’s disease]. Another year later, In/Motion hosted featured guest artist Celia Rowlson-Hall. 2018, the fourth year of In/Motion, brought the internationally-renowned choreographer Bobbi Jene Smith and a slew of Chicago’s art superpowers to Loyola’s campus. “Amy [Wilkinson, I/M artistic director] and I have this lovely mindset of ‘why not us?’ So every year we’ve tried to push the festival three steps further,” Sarah Prinz, the In/Motion curator and marketing director, told me in an interview. This “why not us” mantra rings clear in the strength and diversity of the programming from year to year. It reflects the ambition of the festival’s multifaceted mission to promote interdisciplinary collaboration, the investigation of social justice issues in the arts, and innovation and risk-taking in the development of multimedia dance. Each year, the programming goes beyond the average screening to promote unique artists and engage with a community of artists and spectators. With 10 events ranging from screenings to workshops, from intimate presentations to panels, this year’s events were by far the most intricate, robust and mission-centered. This year’s In/Motion began with the screening of Jenai Cutcher’s Thinking On Their Feet: Women of the Tap Renaissance. This event brought a unique and intimate crowd together—for once I did not recognize most of the faces in the room. By having a tap documentary inaugurate 2018’s festival, In/Motion emphasized its commitment to promoting a variety of dance forms, and supported a genre often overlooked in traditional dance history lessons. The rest of the festival’s programming continued to bring in new audiences. Events such a Gaga masterclass and physically integrated dance class hosted full rooms of In/Motion regulars: Loyola Dance majors and alumni, and members of the Parkinson’s Project, a program for people with Parkinson’s disease to experience dance as a therapeutic practice. Following the Physically Integrated Dance Class, dancers participated in a filmed movement series lead by Bobbi Jene Smith. These events also attracted new faces: Hubbard Street Pro Dancers, high school dance students, local artists (including a few presenting later in the festival), and even a Loyola Jesuit scholar, new to dance. Friends and family of some participants also attended these classes, fully immersing themselves into the movement regardless of prior dance experience. The local works-in-progress showing featured the current projects of Erica Mott Productions, Sara Zalek, Mariel Harari, and Claudia Hart with Kristina Isabel at different stages in the creative process, and attracted an audience of renowned Chicago artists and art supporters. This event, a Saturday matinee, stood out to me for featuring quality local art and highlighting the process behind dance film. As Lauren Warnecke, the moderator of this showing [and the editor of this blog] pointed out, festivals rarely show the “unfinishedness” of film, despite process being a common focus of conversation at festivals like In/Motion. Erica Mott Productions stood out during this lengthy event for a focused presentation that allowed the audience to actively participate in the extended research and performance. Volunteers recorded movement “tweets:” 10-second improvised movement inspired by the words resistance, democracy, citizen, revolution, and freedom, recorded for use in project exhibitions and installations. In fact, each of the 10 events this year actively involved the audience through reflection, dialogue and movement. Wilkinson emphasized this intent to create a reciprocal relationship with the audience. “You know, we’re not just asking the audience to be passive, we’re asking them to be collaborators and participants,” she said. This interactivity makes In/Motion noteworthy. Through myriad programming options, we as an audience went beyond the admiration of innovative art. We are actively learning how to contribute to the field ourselves—whether by directly making multimedia dance art, or by supporting the artists who create it. *Disclosure: In addition to serving as the moderator of the works-in-progress showing, the editor served on the In/Motion grand jury panel and is a part-time faculty member at Loyola University Chicago.